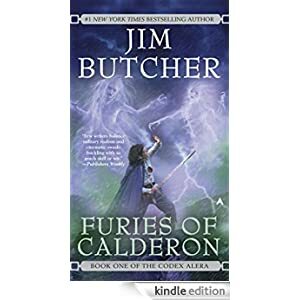 For a thousand years, the people of Alera have united against the aggressive and threatening races that inhabit the world, using their unique bond with the furies—elementals of earth, air, fire, water, wood, and metal. But in the remote Calderon Valley, the boy Tavi struggles with his lack of furycrafting. At fifteen, he has no wind fury to help him fly, no fire fury to light his lamps. Buy this epic fantasy for just 99 cents today.